Ojooo wad is a famous PTC site. In Ojooo wad you can earn lots of money by simply clicking the ads. Ojooo wad is a genuine PTC site and it is recommended by most of the PTC rating site. The great advantage of ojooo wad is they provide different ways to earn other than clicking ads. Unlike other sites, they pay more for completing the offers like watching the video, visiting sites, participating in surveys, checking emails etc. Ojooo wad also has an instant mobile app, so you can directly earn through mobile phone by completing the offers. To join click here, Ojooo wad. Once you click this you will get a registration page as shown above. Choose the username and enter the valid e-mail ID. Choose a password of your desire. The password should contain 8 symbols, 1 capital letter, and a number. If you don’t follow this you will be asked to fill the form again. You should use this username and password to log in your account in future. Enter the payment processor ID. Your should only enter one payment processor ID either in Paypal / payza or okpay. Enter your name, address and contact number. 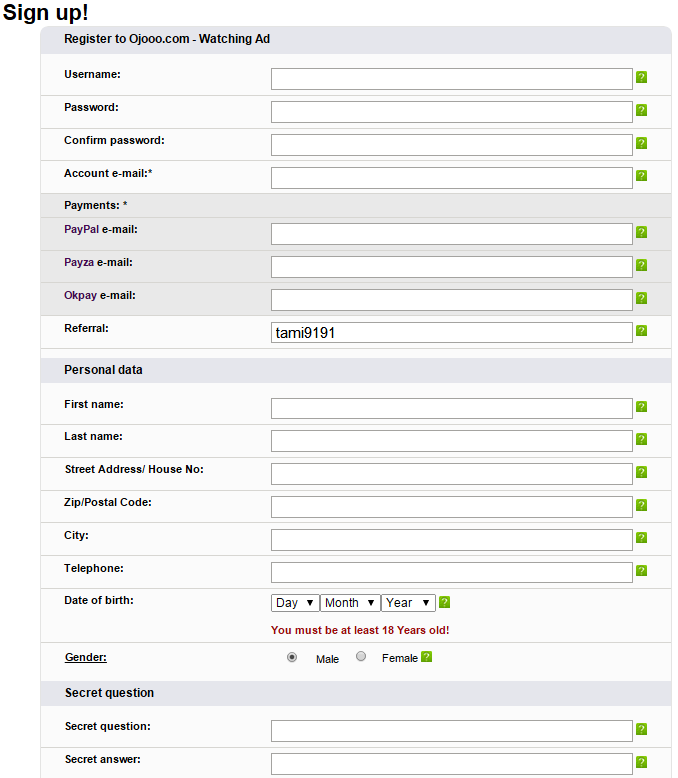 Enter your DOB and set a secret question for recovering the password in future. Enter the captcha word and click register. Now you should verify your e-mail ID. To verify, go to your mail inbox and click the verification mail as shown below. As mentioned earlier there are lots of ways to earn money, but the main task is ad clicking. You will be paid to click. Unlike other PTC sites ojooo is the only genuine site that makes avails more high pay rate for standard members. You can get up to 20 high pay rate ads from $0.01 to $0.037 and 80 low pay rate ads from $0.001 to $0.005. If you upgrade to the premium membership you can earn even more. To start clicking ads, click paid to click ads in the menu bar. The available ads will be displayed as shown above. You can see the ads with the timing opposite to each ad. The high timing ads will pay you more. clicking 5-second ads will pay you $0.001 and clicking 30-second ads will pay you $0.01. Click on the ad to start earning. Once you click you will be taken to the page with the advertisement as shown below. Wait till the timer completely load. Once the stay time is complete you will be asked to draw a pattern to prevent bots. Here the inverted ‘V’ has to be entered as shown below. Draw using your mouse like you do in Microsoft paint. Once you finish the drawing your ad click will be confirmed and you will get a confirmation message as shown below. Now close the page and continue with other ads. You don’t have to draw it perfectly. Just move the mouse in that direction. You captcha will be made valid even if your move is imperfect. Among most of the PTC, ojooo wad is the only genuine PTC that provides so many ads for the standard member to click. 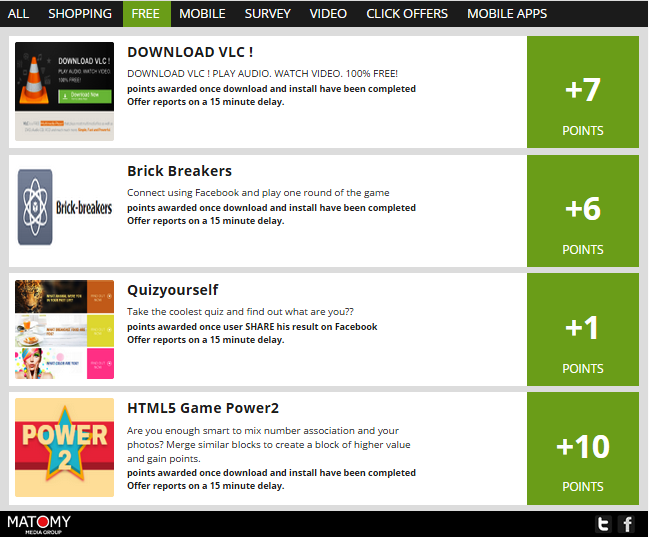 Usually, PTC sites won’t provide these many ads even for Premium members. 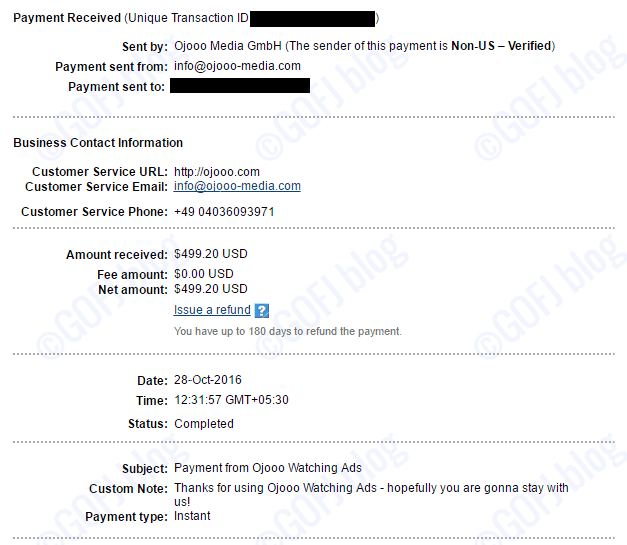 But Ojooo wad provides more than 100 ads per day of which 15 ads pays you up to $0.01. If you upgrade your membership your click rate will increase up to $0.037. Also, premium member will get more ads to click. If you can’t refer anyone its best to work in ojooo wad than other PTC sites. Because in other PTC you cannot earn without referrals. This is the best method to earn without doing anything. Just click the given link and proceed with other works. For each hour you will be paid with real cash for auto surfing. This particular offer pays $0.0625 per hour. Ojooo pays you for watching videos for few seconds. To watch paid videos click offers > Videos. The available videos will be displayed as shown above. To watch video click on the video link. A symbol will appear as shown above. Click on the symbol and view the video for 30 seconds to get paid. Ojooo wad rewards you with cash if you complete the offers provided by matomy, super rewards, minute staff, and personaLy. If you complete the offers you will be rewarded with points which you redeem to cash later. 1 offer point = 5 cents | $0.05. Offers will be like downloading free software, participating in the survey, clicking offers, visiting websites etc. The offers provided by minute staff has more point value and it will be easier. The offers will be like visiting the website by using the keywords provided by them through search engines, visiting the sites through the e-mail link, survey task, clicking task etc. 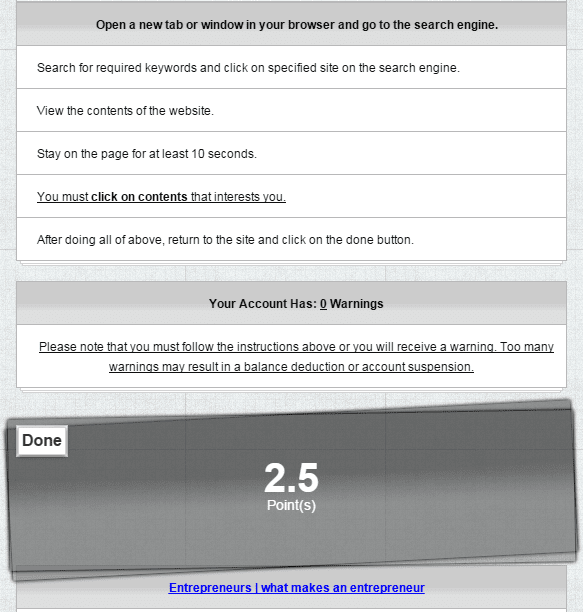 Get paid by searching the keyword they provide. They will provide a keyword, search the keyword in Google or Bing and click the website they ask to and click done. 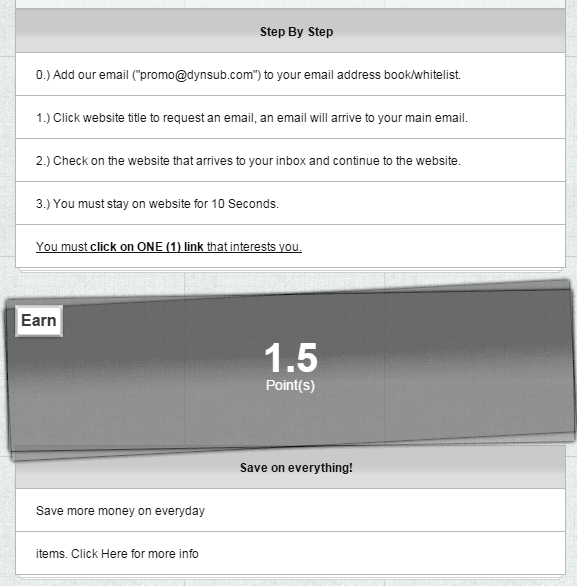 They allotted points will be automatically credited to your account. Ojooo wad pays you for clicking e-mail links. To start click Offers > Minute staff > mails. 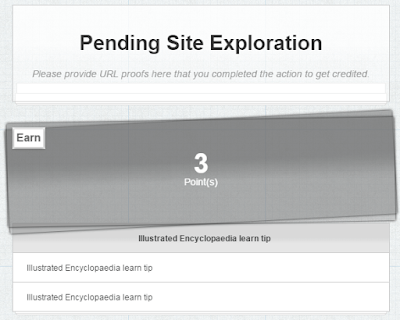 Once you follow the instruction click earn that is shown in the above picture. You will receive an e-mail as shown below. Just click the link and stay on the page for 10 seconds. The allotted points will be automatically credited to your account. Earn high by completing this offer than by clicking ads. This offer is similar to ad clicking. The only difference is you must paste the URL of the page you’ve visited earlier. Complete this and earn up to 5 cents by completing a single offer. 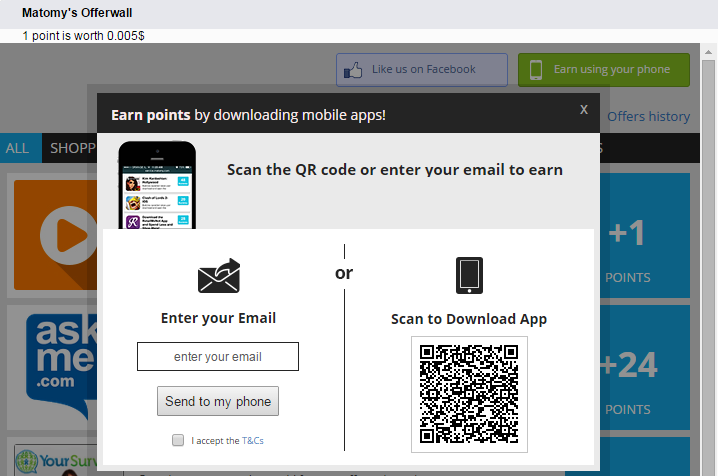 You can also earn through your Android, iPhone or Microsoft windows smart phone by downloading the instant mobile app. To access the instant mobile app, click offers > matomy. 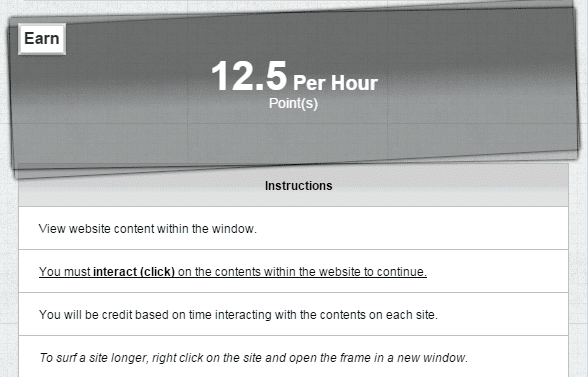 A popup window will appear as shown above. Enter your e-mail ID and click send to my phone, you will get a link in your inbox. Click that link to launch the instant mobile app. Or use the QR code scanner on your mobile phone and scan the code. A link will appear just click the link to launch the app. Once you launch the app you will see the offers listed one by one. Complete those offers and get rewards. Mobile offers will reward you more if you complete. If you’ve a website or a blog, bring free traffic to your website using Ojooo wad traffic exchange. To start just click traffic exchange > start to earn minutes and leave it the minutes will increase automatically. Get 4000 views for 1000 minutes. You can easily attain 1000 minutes in 1 day. So you can easily exchange your minutes to free unique page views. You should enter your payment ID during the registration process itself. Ojooo wad pays your earning through Paypal, payza or Ok pay. The minimum cash out amount is $2. So you need a minimum balance of $2 to withdraw your earnings. The highest paying PTC site review – Innocurrent. If you find hard to refer someone and if you like to earn by clicking ads ojooo wad is the best comparing to other PTC sites. You can reach minimum cash out in a day. This will surely provide confidence to earn online. Other than clicking ads there are multiple ways to earn in Ojooo wad. 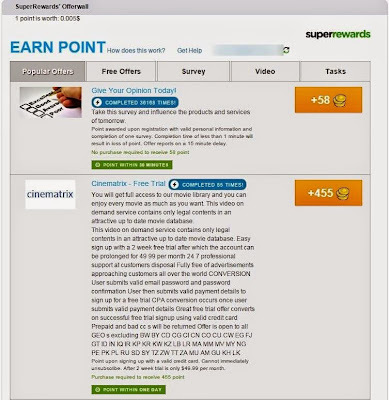 You can earn by completing simple offers like searching, auto surfing, watching videos, participating in surveys etc. By participating and answering the simple questions in online surveys you can earn up to $5 per survey based on your geographical location. Ojooo wad pays you within 24 hours from the withdraw request. Click here to register: Ojooo wad. Look here: No: 1 PTC site, Earn by checking e-mail. You might like this: How to earn by participating in the online survey, Most trusted captcha entry site. Tags: How to register to Ojooo wad, how to join Ojooo wad, Is Ojooo wad legit | genuine? Ojooo wad mobile phone app.